Walkerton-area golfer Blake Mackey shot an even-par round of 72 on the final day of the Canadian Collegiate Athletic Association Golf Championship. The Fanshawe Falcons captain finished in 36th place and helped his team to a 5th finish. He had the lowest round of the day among his five-member team. Mackey’s Friday round - his best of the tournament - included five birdies, three bogeys and one double bogey. After an opening round 83, Mackey played the Desert Blume Golf Golf Club in Medicine Hat in a combined 7 over par. 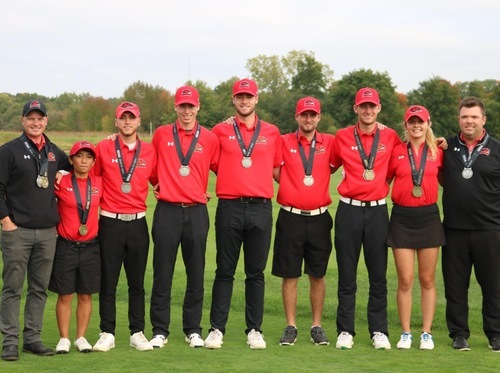 The Fanshawe team secured 5th place with a 1,183-stroke total (+31) over four days. Winning the team competition was Boomerang d’Andre-Laurendeau from Quebec with 1,138 strokes (-14). The top individual was Laurent Desmarchais of Boomerang d’Andre-Laurendeau (72-69-66-68).